ISB Panther Swim Team "I Love To Watch You Swim"
The last of the BISAC meets took place this last weekend and our 7&8 year old swimmers visited the new Shrewsbury campus for their first ever athletic competition. The meet went flawlessly and everyone had a great time. Lots of PB swims and plenty of smiles. Thanks to all who signed up, the next time will be our big grand finale with the family swim meet and the dinner. We will need many hands on deck to get that one completed. I will get the event up on the webpage this week. Only one person caught going to fast at Harrow. Congratulations to Pippen for his new 11/12 year old 100bk and 100 IM records. As most of you know, our year end party starts with an all family swimming affair. We have individual swims that moms and dads can join, but the family relays are by far the most popular. Last year we had over 30 family teams. Bring your whole families, everyone but the family dog is invited to come swim. Start your training now! Sign up will be online before you know it! As most of you probably noticed, this year’s BISAC competitions changed a lot in structure and in philosophy. The driving force behind this was based on questions like these; how important is winning and awards for very young athletes? What are age appropriate competitions? Obviously the head coaches and aquatics directors agreed that for the youngest of our swimmers, balanced training and other activities should be front and center. Also, for our age group swimmers; improvement and technique should be much more important than winning medals. College swimmers are not made in Elementary school or even Middle school, high school is where that work needs to be done. 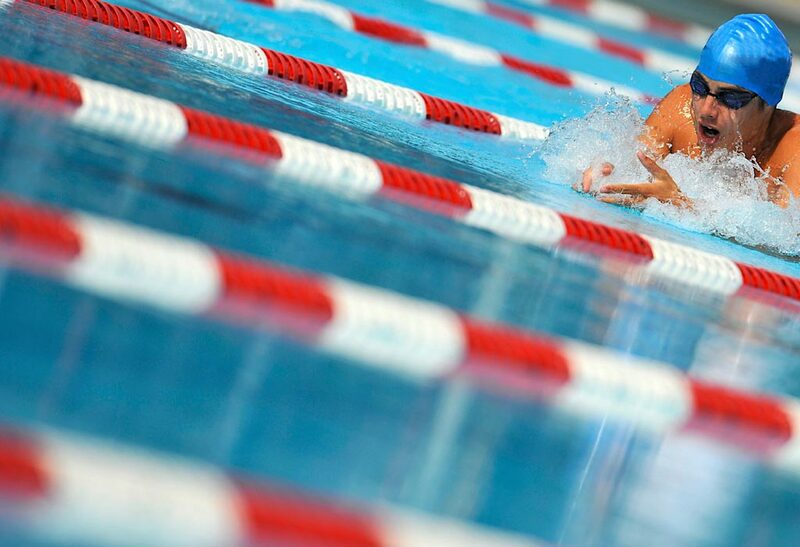 Peaking too soon is so common in age group swimming (and other sports). These are not easy concepts to buy into, even within our own coaching staff there is not 100% agreement on this topic and all new concepts should be discussed and studied. Here is an interesting article that covers many ideas…some I agree with and some I don’t…but they all make me think…read it and see what you think? GVB Battle 2019 (Girls vs Boys Meet) April 1st after school: all ages and fun times for all. Please sign up asap. That is all we need to know about this week, see you on deck!